One of the most famous and successful company in India is none other than Reliance Industries Limited and was started by Late Dhirubhai Ambani. After his death, the company was taken over by his son Mukesh Ambani and now the company has completed forty years and that is why this occassion comes with a celebration that is why the Ambanis threw a grand party which was graced by a lot of Bollywood celebrities. Bollywood superstar Shah Rukh Khan was also a name on the guest list who attended the bash. 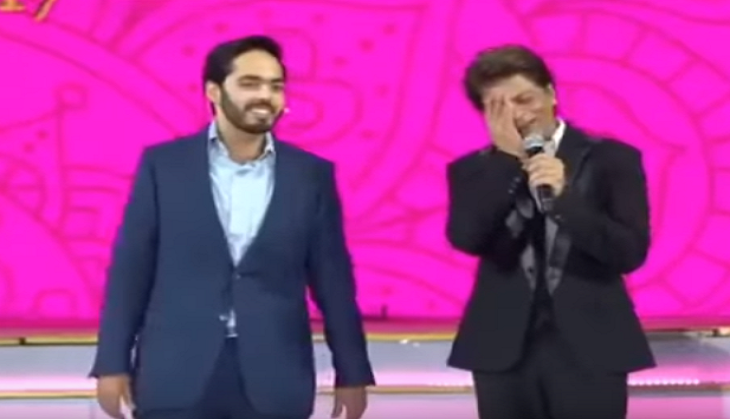 The actor who is known for his witty nature in the party too made everyone laugh when he indulged in an interaction with Anant Ambani, Mukesh Ambani's son. Shah Rukh Khan who hosted the event called up Anant on the stage where he talked about his childhood that made everyone laugh very hard. He had a fun moment with the youngest Ambani when he asked him about his first salary. We congratulate the Ambanis for their success!